For centuries the landscape of Tuscany, Italy, has exerted a powerful hold on the imaginations of Italian city dwellers and foreign visitors with its human scale, and the merging of vineyards and olive groves into gardens and then into the villas themselves. 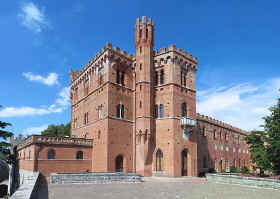 With the revival of Classical culture from the fourteenth century, this landscape has been incorporated architecturally into the villas and gardens that grew in the environs of the cities of Florence and Siena, and later the villas created from castles, fortified abbeys and towers throughout the province. More than anywhere else, the topography here allowed use of hillsides and distant vistas. 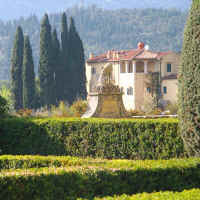 The early Renaissance villas and gardens were designed as retreats from public life in the busy city. They were the ideal place for humanist debate. 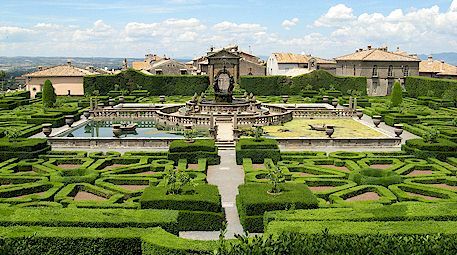 Gardens of the late Renaissance and Baroque periods became more elaborate symbols of power, adorned with rare plants, sculpture and water works. Uniting natural and artificial beauty, they were designed to recreate Paradise on Earth, an achievable Utopia, an accessible Arcadia. 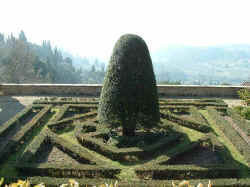 After a period of landscape design in the English style in the nineteenth century, the Tuscan formal garden returned in its most glorious form in the early twentieth century, this time designed mostly for wealthy foreigners, often by garden designers who were themselves foreigners, foremost among them being Cecil Pinsent, an English architect resident in Florence. 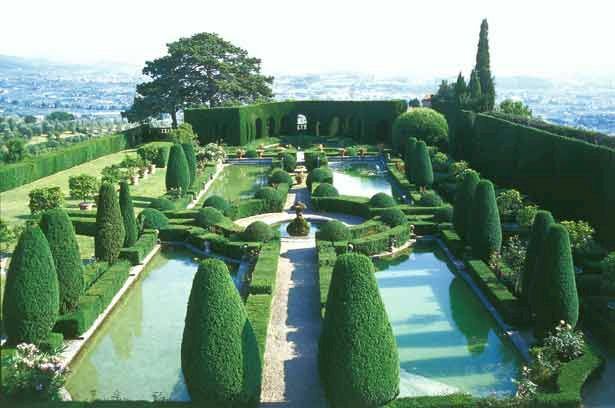 Here we feature some of the lesser known gardens in the Chianti Classico wine region between Florence and Sienna and throughout Tuscany. 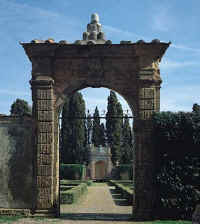 Hotel Villa Le Barone - the "Tuscan garden hotel"
Villa Le Barone, now a romantic hotel in Tuscany near Panzano in Chianti, belonged to the della Robbia family of Florentine ceramicists and artists for several hundred years. Just after World War I, the villa was restored by the Marchesa Maria Bianca Viviani della Robbia and not long afterwards was converted into a beautiful hotel. It still belongs to the Marchesa's heirs who spend part of the year here. 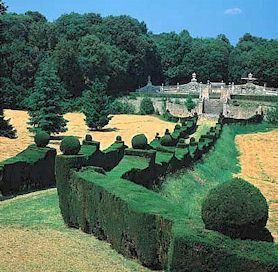 The gardens were established in large part during the interwar period and have now reached full maturity. 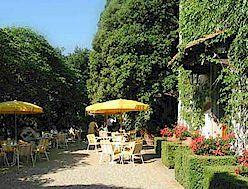 The gardens themselves together with the warm atmosphere of a Tuscan villa make Villa Le Barone the ideal Tuscany accommodations for garden-lovers. Click here to learn more about the Villa Le Barone Tuscan gardens. Villa Gamberaia is one of the classic Florentine villas, with a "hanging" garden laid out to draw the eye to the splendid views out over the farms towards Florence. Astonishingly, it is possible to rent vacation apartments in converted farm buildings on the grounds, as well as to rent the entire villa. There is no better way to experience and understand what a villa meant in Renaissance times. 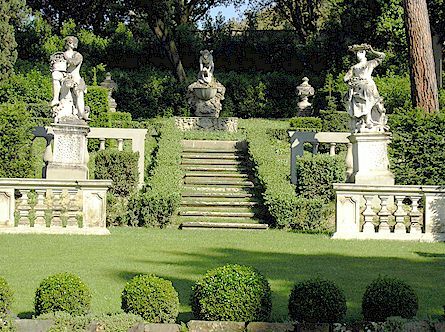 The villa is located on the outskirts of Florence and is worth a visit for the gardens alone - the gardens are open to the public by appointment. 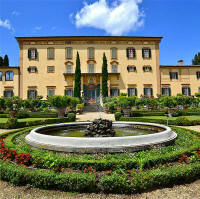 Villa Gamberaia can be reached from Florence in 20 minutes by car and also by ATAF bus number 10 (30 mins. from Piazza San Marco to the village of Settignano plus a 15 minute walk to the villa). Click here to learn more about staying at Villa Gamberaia. Villa Poggio Torselli is already mentioned in the land registry of 1427 under its current name and was then owned by the Machiavelli family. In later centuries, the property passed to the Angiolini, the Corsini, the Macalli and the Capponi. In the 18 C, it belonged to the Orlandini del Beccuto and finally to the Antinori. 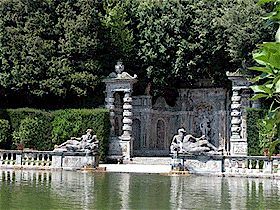 The famous garden of Villa Poggio Torselli probably dates from the late 17 C, and consists of an italianate garden divided into two terraces to the south and an English park area in to the north. 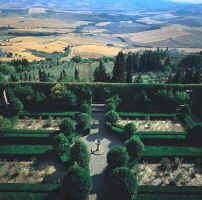 In the upper terrace on the south side, the original arrangement with flower beds has been preserved along with a very ingenious irrigation system, one of the best preserved of Tuscany. 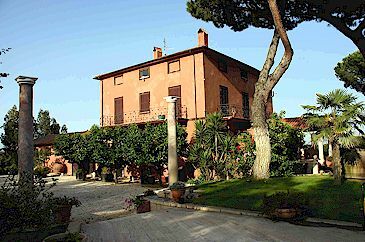 Click here to learn more about visiting Villa Poggio Torselli. 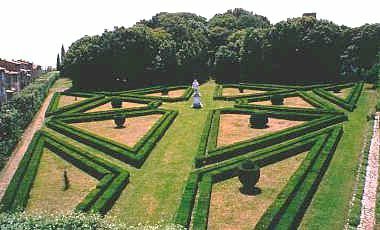 formal garden, laid out by Diomede Leoni in 1580. Formerly the home of Sir Harold Acton and now part of New York University. 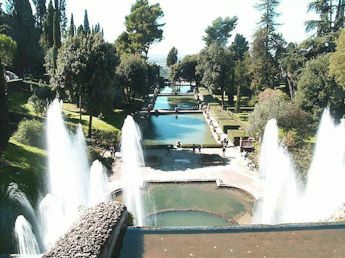 in Tivoli - one of the finest fountain gardens in Italy, indeed, in Europe, and should not be missed by anyone visiting Rome and its environs. 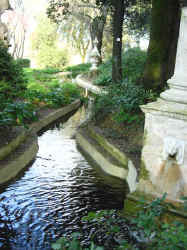 at Bagnaia on the via Francigena near Viterbo - regarded by some as the most perfect garden in Italy. It is in any case a wonderful harmony of cascades, fountains and dripping grottoes. While you visit the gardens of Tuscany, stay in self-catering accommodations with a swimming pool in the Chianti Classico wine zone. 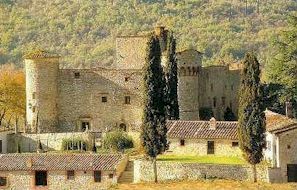 And don't forget to tour the castles of Chianti! 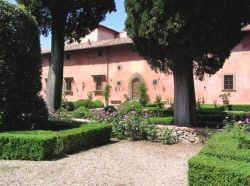 Click here for beautiful vacation rentals in Tuscany. 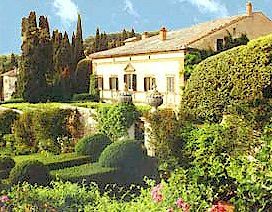 Gardens of Tuscany © ammonet InfoTech 2005 - 2018. All rights reserved.